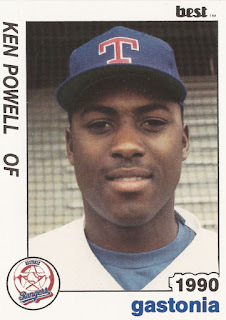 Kenny Powell picked up two hits on this night in August 1992, knocking in one run. That one run proved to be the difference in a 4-3 Gastonia win over rival Spartanburg, according to The Spartanburg Herald-Journal. Powell was closing out his fourth professional season that year for Gastonia. He only got into one more. He never made AA. 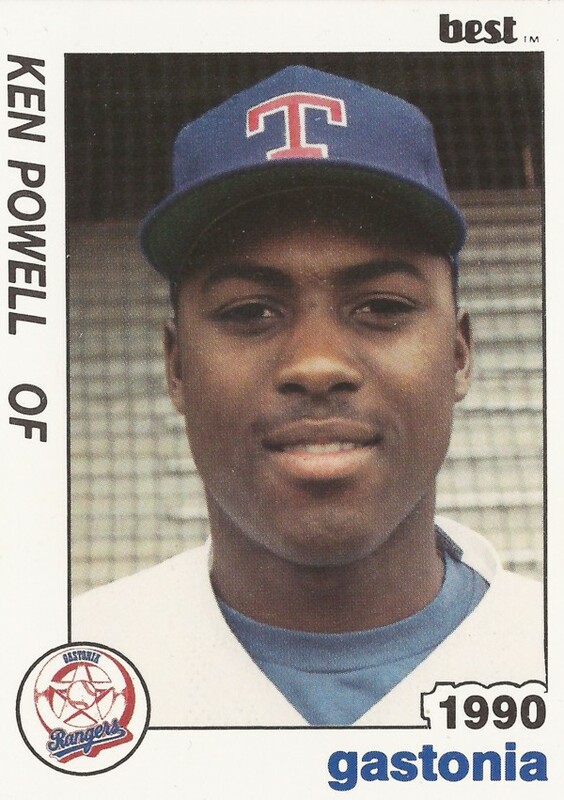 Powell's career began in 1989, taken by the Rangers in the sixth round of the draft out of Polytechnic High School in Long Beach, Ca. Powell also goes by the name Ken Powell or Kenny R. Powell. Powell started in the rookie Gulf Coast League. He hit .257 over 53 games. He moved to single-A Gastonia for 1990. He hit .233 there over 103 contests. That July, he hit a two-run double in a rain-shortened Gastonia win over Sumter. Powell moved to high-A Port Charlotte for 1991. He hit .237 there, with 44 RBI and 19 stolen bases. He went 2 for 4 in an April game with 2 RBI. He also scored a run. He went 2 for 3 in an August game, knocking in one. He then returned to Gastonia in 1992. He hit a career-high 16 home runs and had a .232 average. Powell started 1993 back at Port Charlotte. He got 31 games there before moving to the Padres system. He played briefly at high-A Rancho Cucamonga and short-season Spokane, ending his affiliated career. He's credited two years later with two final games, playing at independent Saskatoon. Powell has since gone on to a different career, one in acting. His resume includes several commercials and a part as a futuristic bodyguard on "Ugly Betty."